We seem to be in a kind of golden age of animation; not only is computer animation capable of creating truly dazzling worlds, but also the lengthy production schedules of these movies are forcing filmmakers to craft superb screenplays before even beginning. This week we have two animated movies, plus a few other films that take place in fanciful or unreal worlds. On the other side of the coin, we have a few ultra-realistic movies from the 1970s and 1980s, telling the stories of outcasts and misfits. Lastly, we have a documentary about an unreal, but totally factual, relationship between a famous director and an infamous actor. One of the recent Oscar nominees for Best Animated Feature, How to Train Your Dragon 2 (2014) is the unexpectedly terrific sequel to the 2010 original, based on the books by Cressida Cowell. The new movie is even more dazzling, achieving an amazing sense of flying, swooping, diving, climbing, height, wind, speed, and open sky. The story involves defending the new dragon-friendly Viking village of Berk from a new band of dragon-rustlers. The young characters are now older and must deal with more grown-up issues of love and loss. Jay Baruchel returns as the voice of hero Hiccup, and Cate Blanchett is on board as the voice of his long-lost mother, giving an astoundingly moving performance. Kristen Wiig, Jonah Hill, T.J. Miller, and Christopher Mintz-Plasse provide comic support. Certainly a bit formulaic, Iain Softley’s K-PAX (2001) nevertheless coasts by on the charm, skill, and charisma of its two stars, Kevin Spacey and Jeff Bridges. Spacey plays “Prot,” who claims to be an alien from the planet K-PAX and is committed to a psychiatric institute. He is apparently able to see far beyond our normal color spectrum, and wears sunglasses throughout the movie. Bridges plays his doctor, psychiatrist Dr. Mark Powell, who must solve the puzzle of whether Prot is a real alien before July 27, when Prot says he plans to leave earth. Meanwhile, Prot’s odd behavior comes across as helpful and eye-opening to the other patients, and he even manages to “cure” some of them. It’s a light-weight, feel-good evening’s entertainment, perfect for streaming. Alfre Woodard and Mary McCormack co-star. Look fast for Breaking Bad’s Aaron Paul in a small, early role. Bill Murray gives one of his best performances, a perfectly balanced blend of cynical and sweet, as TV weatherman Phil Connors, who reluctantly, wearily journeys to Punxsutawney, Pennsylvania, to cover the Groundhog Day events. Unfortunately, he wakes up the next day and discovers that it’s still February 2, and on and on. 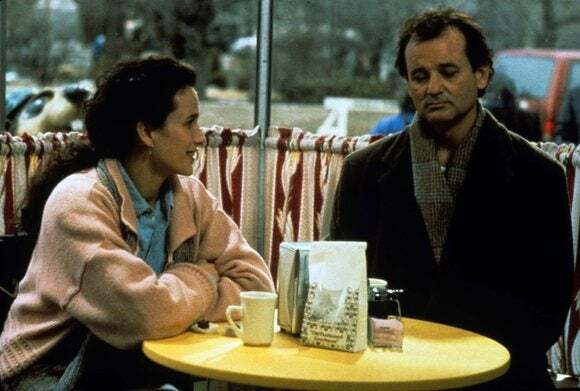 He goes through an incredible variety of responses to this repeating of the day’s events, and eventually uses his infinite amount of time to become a better person and win the hand of his producer, Rita (Andie MacDowell). Chris Elliott, Stephen Tobolowsky, and Brian Doyle-Murray provide funny support, and Ramis appears as a neurologist. 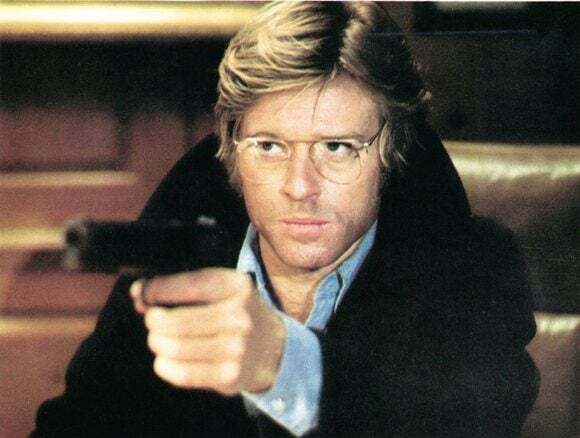 The 1970s were arguably the best decade for political and spy thrillers, and Sydney Pollack’s Three Days of the Condor (1975), based on James Grady’s novel, is one reason why. Robert Redford plays an unusual character for this genre. 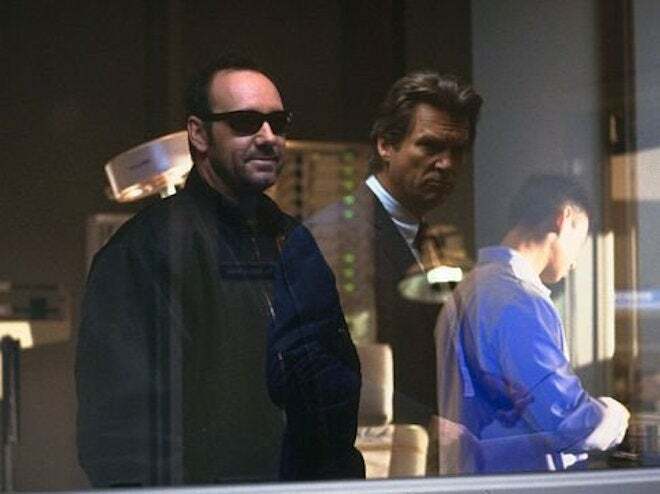 He’s Joseph Turner, employed by the CIA, but his job isn’t to jump out of planes or get into car chases; rather, he reads spy novels and look for interesting plots, ideas, and tricks. When bad guys storm his office and kill everyone, Turner must use all his knowledge to hit the streets and stay alive. Faye Dunaway provides cover for one of his better escapes. The movie has that great, edgy, gritty feel and some of the political sub-themes are still fairly relevant. Max von Sydow is a sinister presence as an enemy assassin. This was the fourth of seven movies that Pollack made with Redford. Hulu Plus recently added a whole slate of Werner Herzog movies, including Fitzcarraldo (1982), which is easily either the most famous or infamous of all his movies. 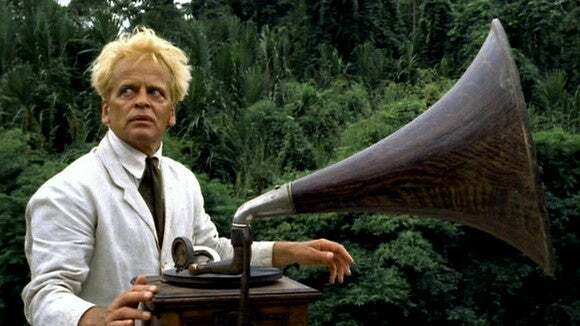 Klaus Kinski plays the title character, whose real name is Brian Fitzgerald; he’s a failed rubber-plantation man who dreams of building an opera in the jungle so that Caruso can come and sing for the natives. He plans to do this by sailing a massive boat to a point at which two rivers nearly converge, then drag it onto land and build the opera house out of it. Herzog, never a man to shy away from a chance to test nature, actually had his crew drag the boat onto the land, creating all sorts of problems. The movie is long, but it pulses with a rare kind of honesty and recklessness. The equally absorbing documentary about the making of this movie, Les Blank’s Burden of Dreams (1982), is also available on Hulu Plus. Director Werner Herzog made five movies with Klaus Kinski, and given that they both had reputations for being quite passionate and volatile, it only makes sense that they would not only collaborate, but also clash in mighty ways. Some years after Kinski’s death in 1991, Herzog made this documentary about their working relationship. Herzog describes him as “half coward, half maniac,” claims to have threatened him with a shotgun once, and admits that some of the legends about him might have been made up. The celebrated music video and film director Michel Gondry seems to have a weakness for romantic misfits who live in highly fanciful worlds. There, strange and lovely images overshadow the characters and make them seem innocent. Romain Duris plays the wealthy, happy Colin, who lives with his personal chef (Omar Sy) and his pianocktail (a piano that makes different cocktails based on which notes are played). Colin falls in love with Chloe (Audrey Tautou), but during their honeymoon, she becomes ill; a water lily begins growing inside her lung and she must be surrounded by fresh flowers to chase it away. But the love story only grows more tragic. 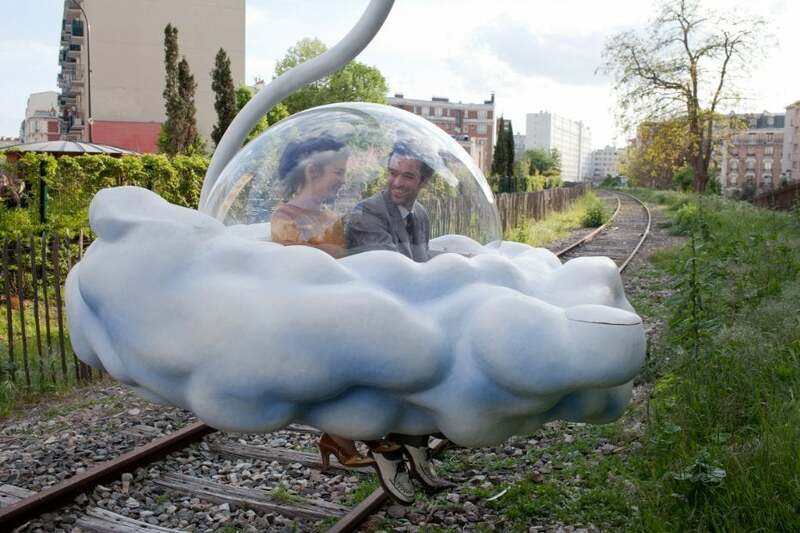 In his best films (Eternal Sunshine of the Spotless Mind), Gondry’s stories are rooted and have a satisfying depth, but Mood Indigo (2014) threatens to drift, spiraling away into space. Amidst images of helpful mice and talking food and the sounds of Duke Ellington music, the curious imagery continues to hold the imagination, if not the heart. In the fourth decade of his legendary career, John Huston directed one of his very best, but probably least-celebrated films, Fat City (1972). It’s a boxing film, but rather than the usual story of a challenger who gets his shot at the championship, it’s the story of those fighters who start at the bottom and stay there. Stacy Keach plays Tully, an aging boxer who brags about his big comeback from a barstool. 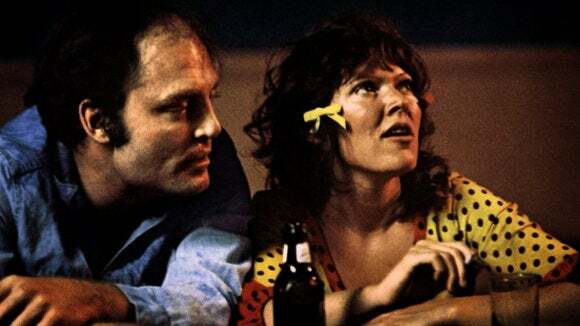 Susan Tyrrell received an Oscar nomination for her bold performance as a lonely barfly who falls for him. Jeff Bridges is terrific as a fresh-faced boxer whom Tully takes under his wing, even though luck is in short supply. Huston and cinematographer Conrad L. Hall use real-life Stockton locations to brilliant effect, placing the low-down characters in cruddy gyms, bad coffee shops, and sleazy bars, with no visible hope or escape. Leonard Gardner wrote the screenplay, based on his own novel. It has been evident since the first Madagascar film that those throwaway, marginal penguins were the best and funniest thing in the series. 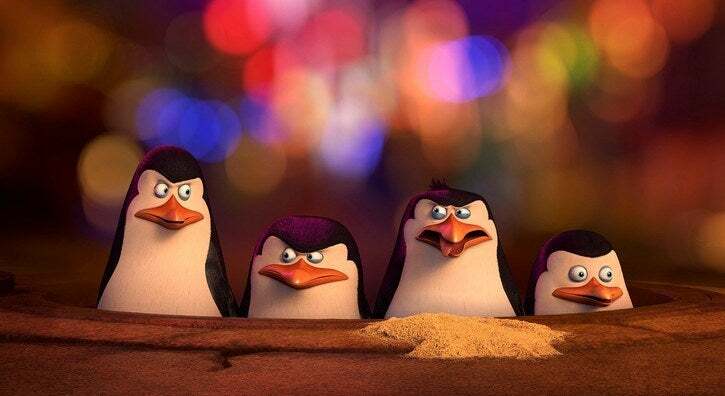 So after getting their own TV show, the four waddling wisecrackers landed their first feature film, and even though Penguins of Madagascar (2014) wasn’t a giant-sized hit or an Oscar-nominee, it was one of the flat-out funniest and fastest of all the 2014 kids’ films. The four penguins are a well-oiled machine, like a tiny, tuxedoed version of Indiana Jones, James Bond, and Ethan Hunt rolled up into a “cute and cuddly” package. In this movie they face a villainous octopus bent on destroying all the world’s penguins out of spite. It’s nothing the penguins couldn’t handle, except that a new super-team, called North Wind, causes a battle of egos and more than a few bungled plans. John Malkovich, Benedict Cumberbatch, and Werner Herzog (!) are among the voice talents showcased, but it’s our foursome (Tom McGrath, Chris Miller, Christopher Knights, and Conrad Vernon) that steal the show once again.